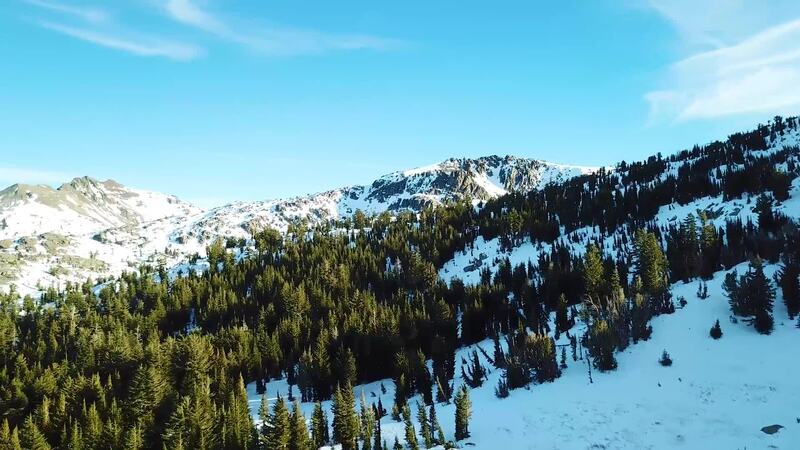 In the northeast region of California near Lake Tahoe, in the High Sierra Mountains, drone video contributor davydrones takes flight above the alpine splendor of Kirkwood during the depths of winter. The powdery, snow-covered landscape is covered in spiky patches of pines and immense mountain crests that all aim toward the blue skies above. Winter never seemed more appealing than from these spectacular aerial views. Description: The beautiful snowy mountains at Kirkwood near Lake Tahoe.